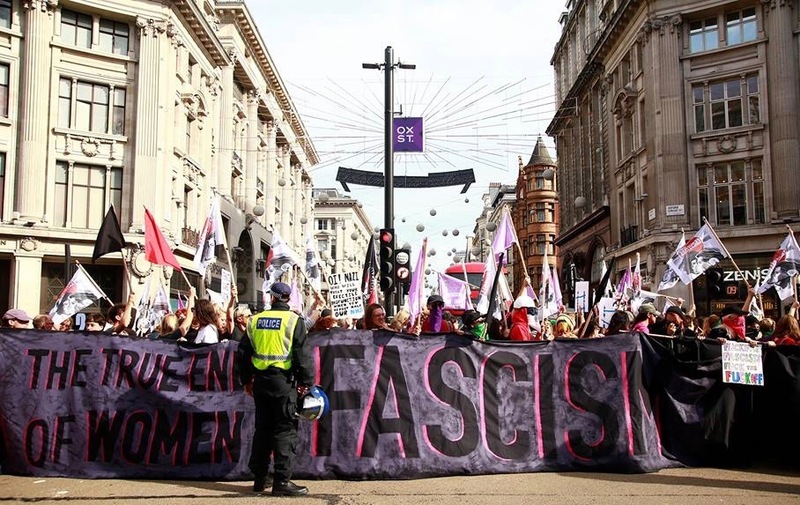 The Feminist Anti-Fascist Assembly is inviting all women, queers and migrants to lead the ‘No to Tommy Robinson, No to Fortress Britain’ demonstration on Sunday, 9th December, 11am-3pm at BBC Portland Place. The Feminist Anti-Fascist Assembly is made up of feminists of all genders. Many of us are survivors of sexual violence. Many of us are migrants. Many of us have lived here for a long time and have no interest in racist solutions to the problems we face. Attempts by either racist governments or far-right thugs to divide our communities will fail. This is a call and invitation for women, queers and migrants from all organisations and unions, and none to lead the ‘No to Tommy Robinson, No to Fortress Britain’ demonstration on 9th December, 11am-3pm BBC Portland Place. Life is hard for millions of us. Thanks to universal credit and benefit sanctions millions of families now rely on foodbanks. Many of us can't afford a decent place to live. Winter is around the corner and thousands of elderly people will die because of the cost of heating. Our NHS is being deliberately ground down ready to be sold off. We can’t let the far right provide racist solutions to the crisis we are in. We need to build a future in which access to decent health, education and housing is a reality and not a dream. This begins with standing together against the racism and sexism of the far right.